Beam Communications Holdings Limited has signed a reseller agreement for Beam-branded Inmarsat equipment with a leading satellite solutions company in the Indian market, Station Satcom. 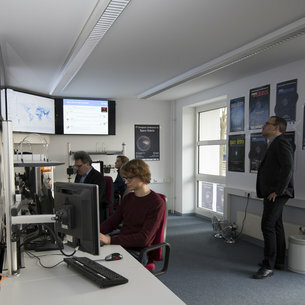 The agreement formalises the partnership between Beam and Station Satcom after the Indianheadquartered company recorded initial orders of Beam equipment worth US$250,000 since the start of calendar 2019, following the Indian government’s approval to allow the sale and use of satellite devices on the Inmarsat satellite network. Inmarsat is the only global satellite service that is allowed to operate in India and most of Beam’s products supplied to and sold by Station Satcom have been for its docking stations and its Oceana 800 satellite terminal, which is designed for maritime and in-building applications. Beam’s docking stations are the only Inmarsat-approved docking units in the world and the Oceana 800 is the only device of its kind running on the Inmarsat GSPS Service. The Chief Executive Officer of Station Satcom, Anshul Khanna, said: “We are excited to have signed a reseller agreement with Beam after seeing such strong initial demand for its products in India. “We are expecting further robust sales of Beam’s Inmarsat equipment as this is the first time we’ve been able to sell such equipment in the Indian market, and as the Inmarsat service gains greater market penetration. “Station Satcom has chosen to partner with Beam for its strong brand recognition in the industry and its long track record in developing and manufacturing reliable and high-quality satellite devices for global satellite network operators.” India is a new market for Beam and its expected to be a strong contributor to ongoing growth of the Beam equipment division, which enjoyed a 30% increase in sales in 1HFY19 over the previous corresponding period. Inmarsat officially launched its Indian GSPS Gateway in 2017, which will enable Indian government and private sector customers to access its satellite phone services via Inmarsat’s 4th generation constellation. The gateway will enable the Indian government to provide secure communications to defence services, commercial enterprises, the maritime industry and India’s remote communities.